Project: Helping kids learn to read, by getting computers to listen to them read aloud. My current interest is using computers to listen to children read aloud. The Reading Tutor adapts automated speech recognition to analyze oral reading. The Reading Tutor responds with spoken and graphical assistance modelled in part after expert reading teachers, but adapted to the strengths and limitations of the technology. Experimental use of the Reading Tutor in elementary school classrooms has produced dramatic gains in reading comprehension. My previous work in artificial intelligence included machine learning, automated replay of design plans, and discovery of search heuristics. Project LISTEN offers exciting opportunities for interdisciplinary research in speech technologies, cognitive and motivational psychology, human-computer interaction, computational linguistics, artificial intelligence, machine learning, graphic design, and of course reading. Dr. Mostow's research interests in artificial intelligence have included speech, machine learning, and design. 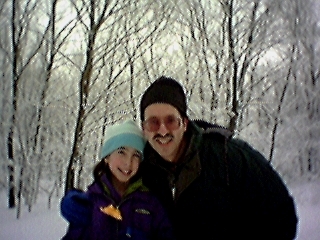 After research and faculty positions at Stanford, Information Sciences Institute, and Rutgers, he joined the Carnegie Mellon faculty in 1992 to launch Project LISTEN, which is getting computers to listen to children read aloud, and help them. 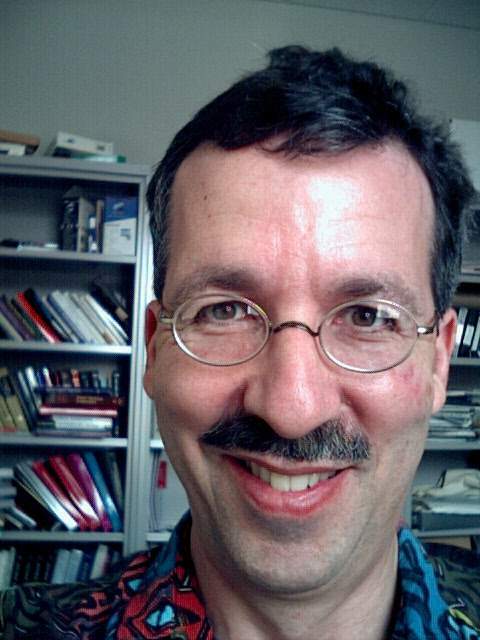 Dr. Mostow was Program Co-chair of the Fifteenth National Conference on Artificial Intelligence (AAAI98), and has served as an editor of Machine Learning Journal and IEEE Transactions on Software Engineering. [SMIE 2000] Mostow, J. and Aist, G. Evaluating Tutors that Listen: An Overview of Project LISTEN. In K. Forbus and P. Feltovich (Eds.) Smart Machines in Education. MIT/AAAI Press, 2001. Never Being Able to Say You’re Certain. CALICO Journal16:3, 407-424. Special issue (M. Holland, Ed. ), Tutors that Listen: Speech recognition for Language Learning, 1999. [AAAI97] J. Mostow and G. Aist. The Sounds of Silence: Towards Automated Evaluation of Student Learning in a Reading Tutor that Listens. In Proceedings of the Fourteenth National Conference on Artificial Intelligence (AAAI-97). 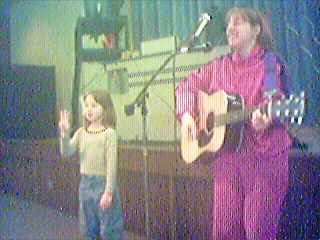 American Association for Artificial Intelligence, Providence, RI, July, 1997, pp. 355-361. Click here for presentation slides. [AAAI 94] J. Mostow, S. Roth, A. G. Hauptmann, and M. Kane. A Prototype Reading Coach that Listens. Proceedings of the Twelfth National Conference on Artificial Intelligence (AAAI-94), American Association for Artificial Intelligence, Seattle, WA, August 1994, pp. 785-792. Recipient of the AAAI-94 Outstanding Paper Award. Download Postscript file. After all my time here, I've yet to see any problem, however complicated, which when you looked at it the right way didn't become still more complicated. 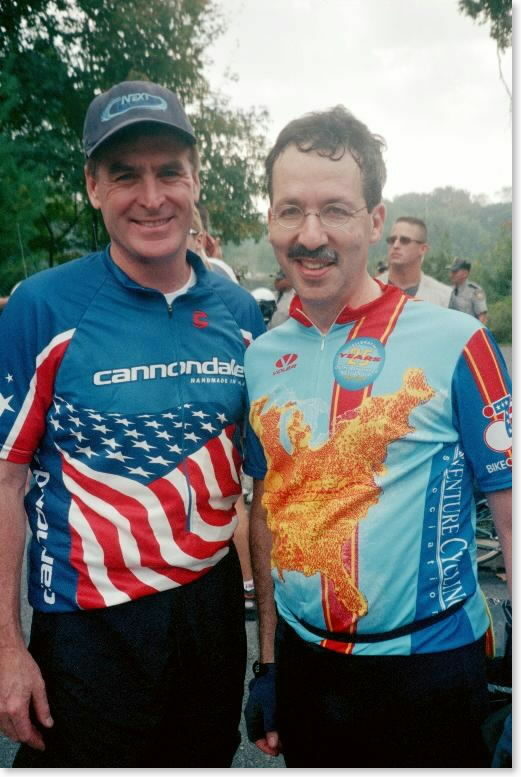 ... and about 800 other riders. For 14 highlight photos, see http://photomail.photoworks.com/sharing/album.asp?Key=1~FQQ4aBru.cJVX94m3Uq30rSv1z8OK0QKX8zi.itY5gpHBVcR9uwowF0NCWO6ecDe. 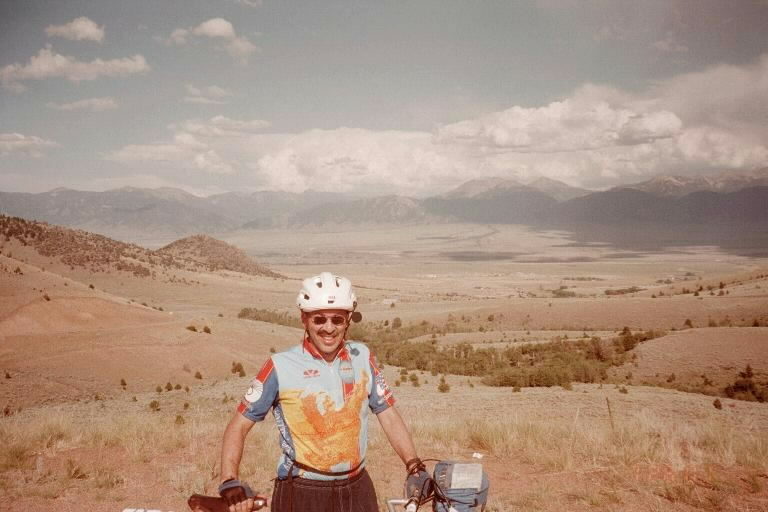 July, 2001: Jack attends 25th reunion of 1976 BikeCentennial bicycle trip across the United States, followed by Cycle Montana (6-day, 314-mile ride from Missoula to Bozeman), shooting 15 rolls of film. 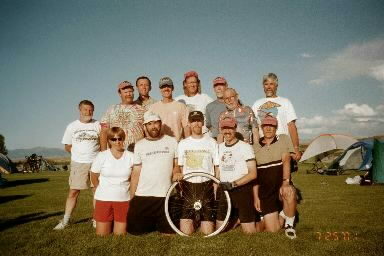 For BikeCentennial 25th reunion pictures, see http://photomail.photoworks.com/sharing/album.asp?Key=2879849160450001. 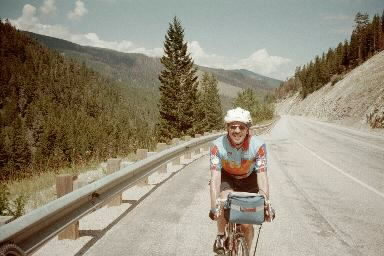 To browse all 266 Cycle Montana photos, see http://photomail.photoworks.com/sharing/album.asp?Key=8432478120420806. 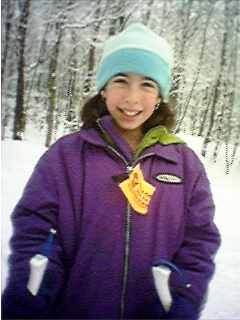 For 60 of the best, see http://photomail.photoworks.com/sharing/album.asp?Key=9744746040430800. 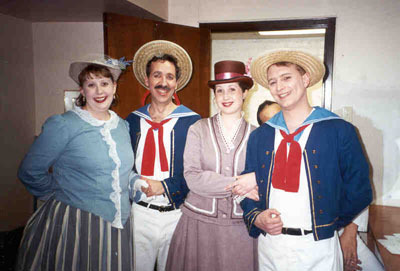 January 26 - February 11, 2001: Jack and Melody perform in Gilbert & Sullivan's Gondoliers. 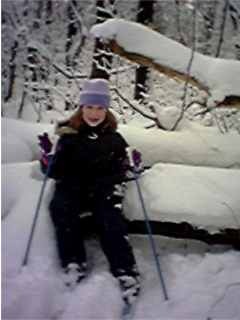 December 29, 2000: Cross-country skiing in Laurel Ridge State Park. 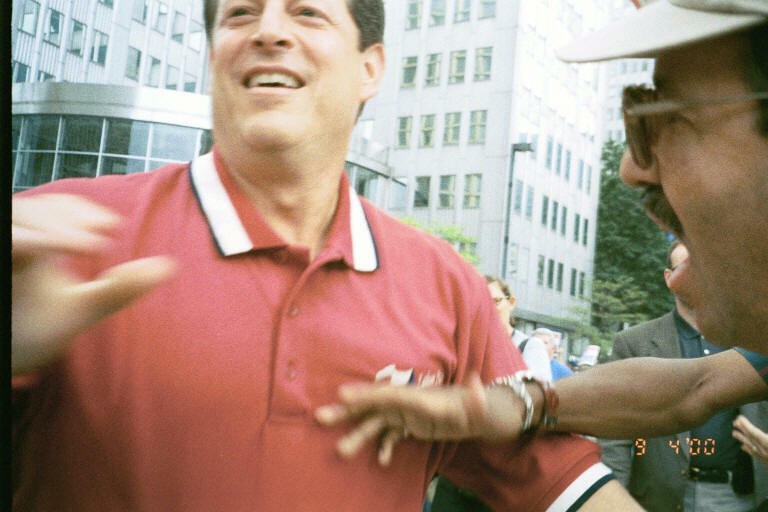 Labor Day, 2000: Jack welcomes Vice President Al Gore to Pittsburgh. 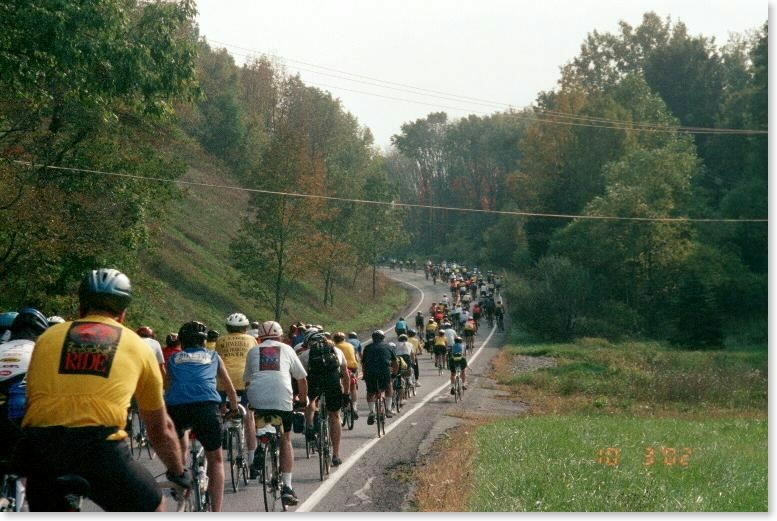 Click here to see a montage of photos from ITS'2000 in Montreal taken by Dr. Mostow using a Visor eyemodule(TM). 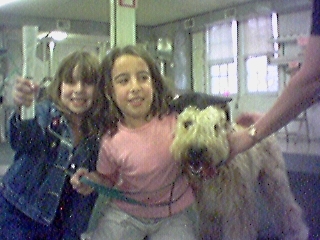 May 22, 2000: Daughter Emily holds up diploma in "Manners" earned by our dog Skippy (wearing graduation cap) at Pawsitive Academy. 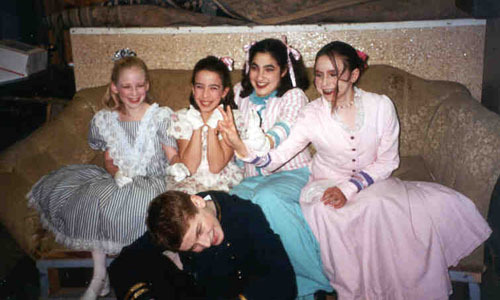 March 3-19, 2000: performed with daughter Melody in Gilbert & Sullivan's comic operetta HMS Pinafore with the Pittsburgh Savoyards.